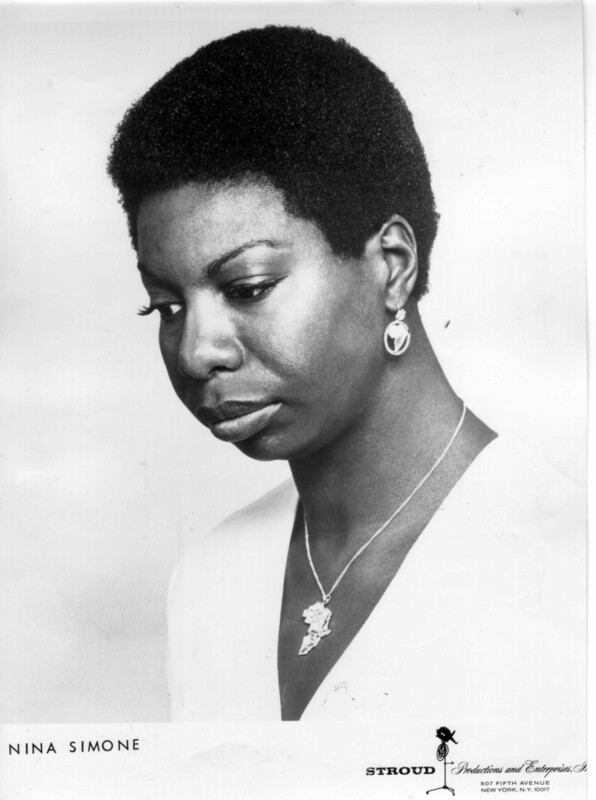 Born on February 21, 1933, in Tryon, North Carolina, Nina Simone received a scholarship to study classical piano at the Juilliard School in New York City, but left early when she ran out of money. She turned her interest to jazz, blues and folk music and released her first album in 1958. In the ‘60s, she became identified as the voice of the civil rights and wrote songs about the movement. She died in France on April 21, 2003. Born Eunice Kathleen Waymon on February 21, 1933, in Tryon, North Carolina, Nina Simone took to music at an early age, learning to play piano at the age of 4 and singing in her church's choir. The sixth of seven children, Simone grew up poor. Her music teacher helped establish a special fund to pay for Simone's education and, after finishing high school, Simone won a scholarship to New York City's famed Juilliard School of Music to train as a classical pianist. Simone taught piano and worked as a accompanist for other performers while at Juilliard, but she eventually had to leave school after she ran out of funds. Moving to Philadelphia, Simone lived with her family there in order to save money and go to a more affordable music program. Her career took an unexpected turn, however, when she was rejected from the Curtis Institute of Music in Philadelphia; she later claimed the school denied her admittance because she was African-American. Turning away from classical music, she started playing American standards, jazz and blues in clubs in the 1950s. Before long, she also started singing along with her music at the behest of one bar owner. She took the stage name Nina Simone—"Nina" came from a nickname meaning "little one" and "Simone" after the actress Simone Signoret. She won over such fans as Harlem Renaissance writers Langston Hughes, Lorraine Hansberry, and James Baldwin. Simone began recording her music in the late 1950s under the Bethlehem label, releasing her first full album in 1958, which featured "Plain Gold Ring" and "Little Girl Blue." It also included her one and only top 40 pop hit with her version of "I Loves You Porgy" from the George Gershwin musical Porgy and Bess. In many ways, Simone's music defied standard definitions. Her classical training showed through, no matter what genre of song she played, and she drew from many sources including gospel, pop and folk. She was often called the "High Priestess of Soul," but she hated that nickname. She didn't like the label of "jazz singer", either. "If I had to be called something, it should have been a folk singer because there was more folk and blues than jazz in my playing," she later wrote. By the mid-1960s, Simone became known as the voice of the civil rights movement. She wrote "Mississippi Goddam" in response to the 1963 assassination of Medgar Evers and the Birmingham church bombing that killed four young African-American girls. After the assassination of Reverend Martin Luther King, Jr. in 1968, Simone penned "Why (The King of Love Is Dead)." She also wrote "Young, Gifted and Black," borrowing the title of a play by Hansberry, which became a popular anthem at the time. As the 1960s drew to a close, Simone tired of the American music scene and the country's deeply divided racial politics. She lived in several different countries, including Liberia, Switzerland, England and Barbados before eventually settling down in the South of France. For years, Simone also struggled with her finances, and clashed with managers, record labels, and the Internal Revenue Service. Around this time, Simone recorded cover songs of popular music, putting her own spin on such songs as Bob Dylan's "The Times They Are A-Changin'" and the Beatles' "Here Comes the Sun." She also showed her sensual side with the song "I Want a Little Sugar in My Bowl." She then took a break from recording, returning in 1978 with the album Baltimore. The title track was a cover version of a Randy Newman song. Critics gave the album a warm reception, but it did not do well commercially. Simone went through a career renaissance in the late 1980s when her song "My Baby Just Cares For Me" was used in a perfume commercial in the United Kingdom. The song became a Top 10 hit in Britain. She also penned her autobiography, I Put a Spell on You, which was published in 1992. Her next recording, A Single Woman, came out in 1993. To support these works, Simone gave some performances in the United States. Touring periodically, Simone maintained a strong fan base that filled concert halls whenever she performed. She appeared in New York City in 1998, her first trip there in five years. The New York Times critic Jon Paneles reviewed the concert, saying that "there is still power in her voice" and the show featured "a beloved sound, a celebrated personality, and a repertory that magnifies them both." That same year, Simone attended South African leader Nelson Mandela's 80th birthday celebration. In 1999, Simone performed at the Guinness Blues Festival in Dublin, Ireland. She was joined on stage by her daughter Lisa for a few songs. Lisa, from Simone's second marriage to manager Andrew Stroud, followed in her mother's footsteps. She has appeared on Broadway in Aida, using the stage name "Simone." In her final years, Simone battled with health problems. Some reports indicate she was battling breast cancer, but that claim has not been officially confirmed. She died on April 21, 2003, at her home in Carry-le-Rouet, France. While she may be gone, Simone left a lasting impression on the world of music. She sang to share her truth, and her music still resonates with great emotion and power. 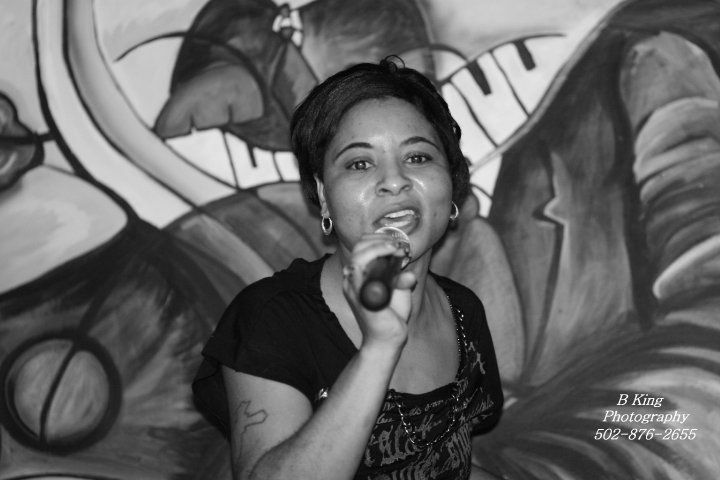 Simone has inspired an array of performers, from Aretha Franklin to Joni Mitchell. Her deep, distinctive voice continues to be a popular choice for television and film soundtracks, from documentaries to comedies to dramas. The MC known as MF Doom was born Daniel Dumile in London in 1971, according to StarPulse.com. His family moved to Long Island, New York, when he was a child. His hip hop debut came with the group KMD, which released the album Mr. Hood on Elektra Records in 1991. The group included Dumile (rapping under the name Zev Love X) and his brother, who went by the name Subroc. Tragically, Subroc was hit by a car and killed in 1993. According to the New Yorker, the second KMD album, Black Bastards, was never released by Elektra, due to controversy over the cover art, which depicted a cartoonish Little Black Sambo figure being hanged. Zev Love X disappeared from the hip hop world for a few years. At the end of the 1990s, he resurfaced as MF Doom, "swearing revenge against the industry that so badly deformed him," according to Dirty Rat Attack. The "MF" stands for "Metal Face" or "Metal Fingers." To this day, the rapper keeps his face hidden during live performances by a metal mask. In 1999, Doom released his debut album, Operation: Doomsday. He followed it with a flurry of productivity. In 2003 he released albums under two alternate aliases. The first was Take Me To Your Leader, as King Geedorah, named after Godzilla's monstrous opponent. He also released the album Vaudeville Villain under a new persona: Viktor Vaughn, the Vaudeville Villain. In 2004, he teemed up with producer Madlib to form Madvillain, and they released the album Madvillainy that same year. The album, full of short, idiosyncratic tracks and scratchy beats, was well received by critics and hip hop heads alike. His collaboration with DJ Danger Mouse, in which the two combined to form Danger Doom, resulted in the album The Mouse and the Mask, which came out on Epitaph Records in 2005. Epitaph is better known for punk rock acts, such as NOFX, than hip hop, but the cartoonish irreverence of the album, which owed plenty of inspiration to the Cartoon Network's Adult Swim programming, seemed to fit their aesthetic. Danger Doom followed up The Mouse and the Mask with a 20-minute EP of alternate recordings called Occult Hymn in 2006. While there has not been a new Danger Doom release since then, fans of the duo continue to hold out hope that they will reunite to wreak more havoc. Meanwhile, Doom has been keeping plenty busy, with solo albums such as Mm... Food and Born Like This, and the Special Herbs series of instrumental tracks. Two of the most mysterious artists in hip hop join forces in Danger Doom. If you don't know what we're talking about, you better read this article.